2 rooms up for rent in 3yr old house. - one with "walk in wardrobe" 1 room furnished, the other has carpet and walls :) Owner is occupier 1 car park is available - additional cost of 15 a week. I do have two dogs so housemates must be dog friendly - they are small and take up less size than a backpack, however that does max out the number of pets. Theatre room is great to chillout in and talk or part take in a whole movie experience. Bills are inclusive of rent and everything furnished. Ducted aircon in all rooms and internet included in rent. Close to highway, shops &amp; public transport. Sorry no couples. The house is less than 5 minutes walk to the nearest bus stop (route 567) and is close to Woolworths and Mcdonald’s. The room and the house is fully furnished and has central air-conditioning. The house has 4 bedrooms, 2 bathrooms, 1 media room, dining and living room. It is fully fenced with a large backyard in a quiet area. Big spacious house! Too big for just the two of us! 4 bedroom home with huge backyard area with entertaining area (Pet-friendly), Great Kitchen, nice bathroom, good size bedrooms &amp; spacious living + dining room, also plenty of storage area with builtins &amp; storage cupboards. Airconditioning: YES. Quiet, friendly clean property close to shops. Only 20 minutes from Gold Coast. I am a friendly clean outgoing person. I work interstate at times. I love diving and sailing. 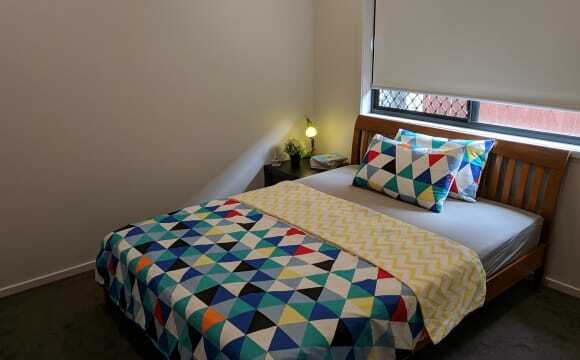 I can also accommodate 2 backpackers for $135 each per week using bunk bed. 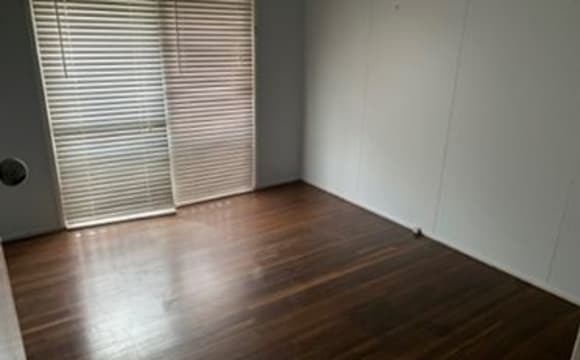 Clean friendly townhouse close to shops and bus. Great for a young family or couple. This 3 bedroom, 1 bathroom house to rent. Great outdoor entertaining area, nice yard, seperate laundry, gas cooking and lock up garage. Close to Edens Landing State School. Quiet area. If you would like to keep the lawns mowed it will be an extra $25 per week. Pets welcome. 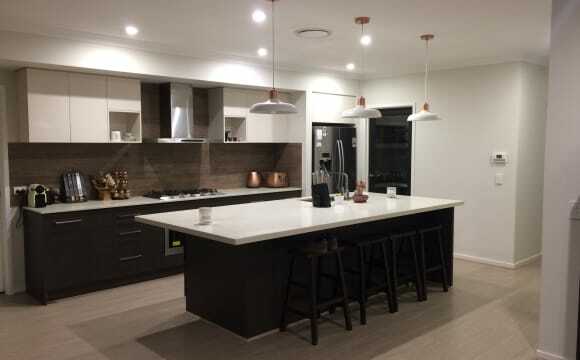 Large, modern, 2 storey, 9 year old (top model) display home. The home has 2.5 bathroom, 4 bedroom, study, 3 lounge rooms. 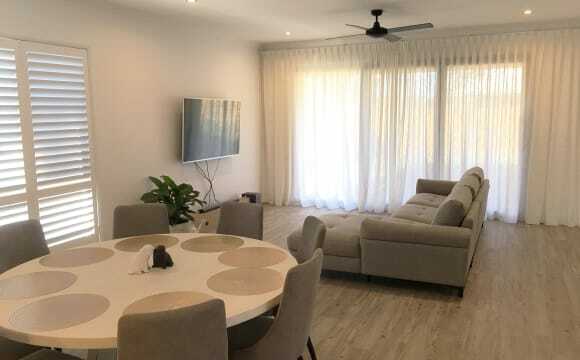 The main living and dining room is furnished and available for use. Also a pool room with pool table. The kitchen is large and fully equipped including a Dishwasher. 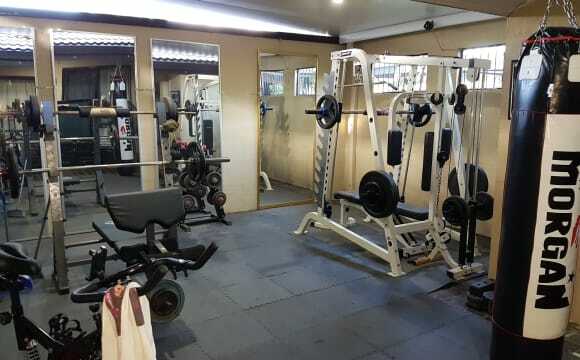 BBQ, fridge (own) and Gym equipment available in the garage including weights bench, treadmill and punching/ heavy bag. There is a park 2 min walk down the road with basketball and tennis courts, enclosed dog park with agility facilities, BBQ and gazebo etc. We also now have public transport (Bus) available 20m from our door. Description of bedrooms: Bedroom 2: Large room without a bed/furniture. 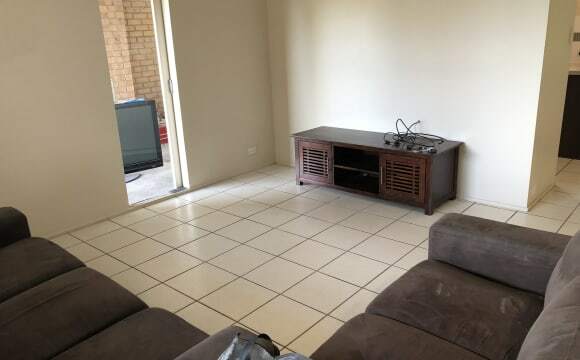 Choice of lounge room up stairs or lounge room downstairs available for use. 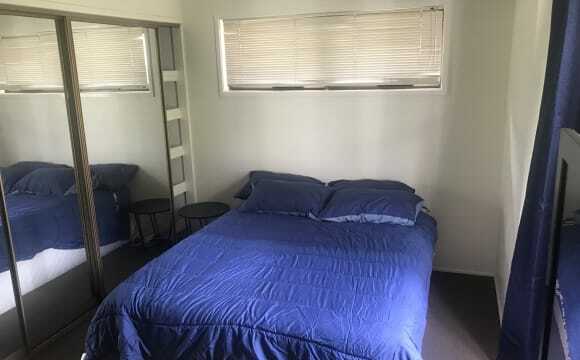 Features and facilities: Air-conditioner (ducted), NBN unlimited Internet, Bathroom, Built-in wardrobe. Laundry has a washing machine and dryer. 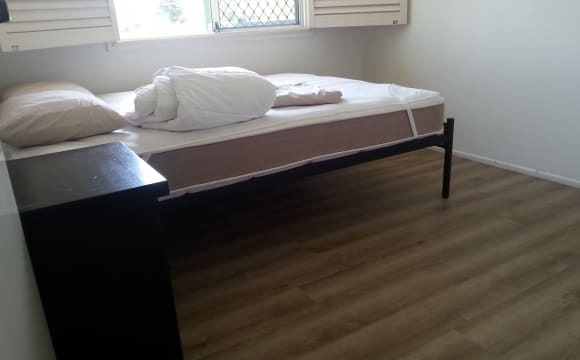 There is also a spare bedroom with a bed for guest use. A single for their own room is $175.00 per week, paid weekly, excluding all bills. A couple for their own room is $220.00 per week, paid weekly, excluding all bills. Bills and expenses: Electricity, internet and gas will be divided equally between all people. We also have a Netflix and Stan account if you're interested. We also have solar. Housework will be shared. We are also fortunate to have incredible neighbours and no houses across the street, only beautiful greenery. People with dependents: I'm sorry, however we are not looking for anyone with dependants. Thank you for taking your time to look at our listing, feel free to contact me (Lisa) if you have any questions. 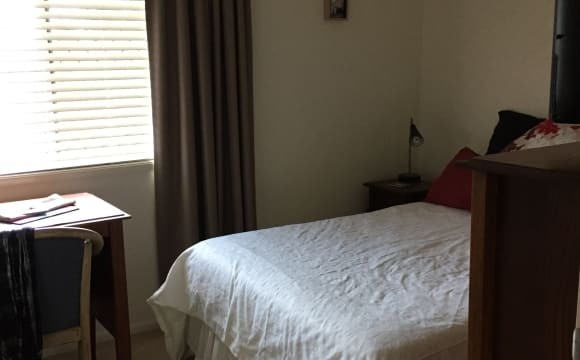 * couples are most welcome - $250 week couples. * pets to be considered. * internet &amp; water is included in rent Master bedroom with private en-suite bathroom and very large walk-in wardrobe. The house has a communal storage/study room. Located just off Drew’s rd exit on highway. Close to hyperdome shopping centre. Bus stop 🚏 about 5 min walk away. 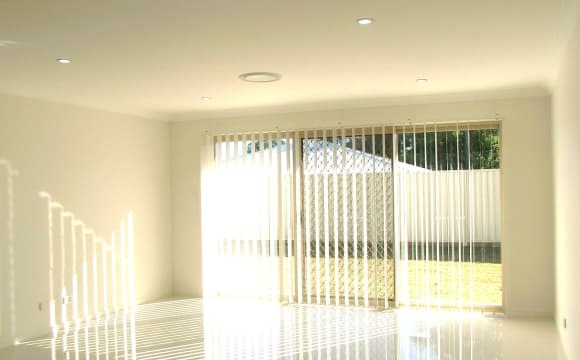 Living room has aircon but house keeps quite cool without use. Kitchen equipment is all supplied. Quiet street close to train station and bus station. 1 stop away from logan university. Fenced yard so allows us to keep to ourselves .. includes optus tv ,internet air con in lounge your own bathroom and toilet. If required can supply bed and desk. Please excuse the pictures current house mate is in process of moving out.. It is a house that is 3 years old from new. You would be at the front of the house. It is a very quiet neighbourhood. It has NBN internet. Other than that. You would have your own room and media room to yourself. Also you would have your own bathroom which is the main bathroom. There is a Internal wardrobe with a fan. The media room has a fan as well. The property is as new with modern kitchen and appliances. All the utilities and unlimited internet are included in rent. There is ducted air conditioning. It is 2 minutes drive and 15 minutes walking to the Bethania train station and very close to bus exchange. It is 10 minutes drive to the Griffith University. At the moment the rooms are unfurnished but could be furnished if required. Also, there is an ensuite room with private toilet, shower and walk in robe. Less than 3 years old, great location with a view, quiet street. Close to shops and public transport. The pool, the BBQ area and the general awesomeness that comes with the occupants, The only dull moments in this house are the ones you create. We have Foxtel, Wireless internet that stretches to the entire property fence line. Pool table, jukebox and outdoor entertaining area full of awesome! There is a pool and a gym. Also chef's kitchen and a movie theatre. Located in a quiet part of the neighbourhood, but only a 5min drive from shops, train station and motorway. Large shared living room and large shared rumpus room. Large backyard with fruit trees and home to 2 of the friendliest doggos you'll ever meet. Views from the top of the culdesac at night are cool and refreshing. Non-smoking environment.